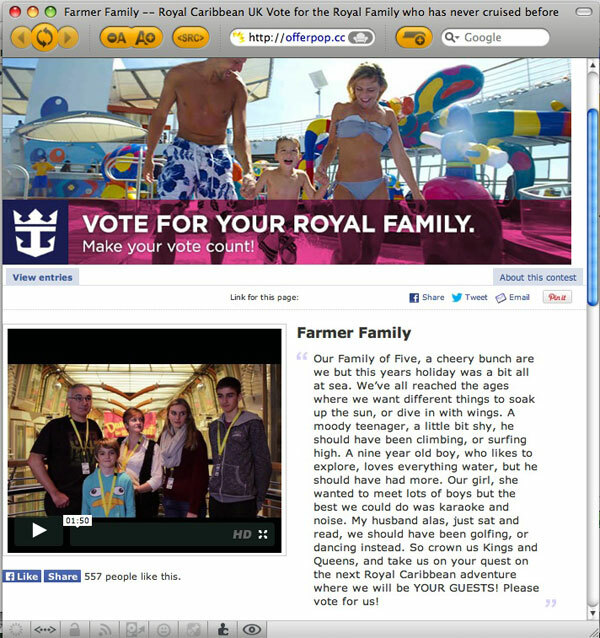 Royal Caribbean International’s UK arm has started the year with a new marketing project called “Royal Family,” whereby a typical British family has been chosen to be its ambassadors for a year, a move that is interesting because that family has been chosen because they are not cruisers. Elsewhere, Heritage Expeditions of New Zealand is hoping to get back its Spirit of Enderby, otherwise known as the trapped Russian research ship Akademik Shokalskiy, for a scheduled January 17 departure from New Zealand. And in Southeast Asia, Pandaw River Cruises has been rescheduling bookings after the recent loss of its 60-berth river cruiser Saigon Pandaw, while being towed from Viet Nam to Burma. Royal Caribbean International has hit upon a great ploy with the launch of own ‘Royal Family’ One lucky family has been chosen to experience Ripcord by iFly skydiving and the North Star viewing pod on the new Quantum of the Seas as well as attending her launch. The key point is that the family has never been on a cruise before and the father is a “cruise cynic” – exactly the market the cruise lines should be attacking, instead of fighting over the already converted. The new ‘Royal Family’ and Royal Caribbean International’s official UK ambassadors for 2014 are Liz and Graeme Farmer and their children Josie, 17, Sam, 14, and Eddie, 9. Beginning with the first weekend of the “Wave” season, which featured a double-page spread in “The Sunday Times” magazine supplement, we can look forward to seeing more of this family, chosen through a competition on Facebook, during 2014. The new ‘Royal Family’ and Royal Caribbean International’s official UK ambassadors for 2014 are Liz and Graeme Farmer and their children Josie, 17, Sam, 14, and Eddie, 9. People who themselves had previously been put off cruising, they are almost sure to be converted by the actual on board experience and as a result will help convert a large number of other non-believers as well. As winners, they will enjoy a host of new (for them) cruise experiences throughout the year, including a 7-night cruise to the Western Caribbean on board the 5,408-berth Oasis of the Seas, in February, an invitation to the launch of the 4,180-berth Quantum of the Seas in the autumn and a family day on board the 3,634-berth Independence of the Seas this summer. It is interesting that it is Royal Caribbean International’s UK office that has come up with this idea, which is one that looks outward from cruising seeking to recruit newcomers. Not since Bon Dickinson’s time at Carnival Cruise Lines in Miami has the industry seen this kind of creative approach. Much of the world’s press has been watching as first an Australian icebreaker and then a Chinese one tried to release the 52-passenger Russian research ship Akademik Shokalskiy from its icebound situation in the Antarctic’s Ross Sea last week. As a result of the rescue attempts, the Chinese icebreaker Snow Dragon, whose helicopter was finally used to evacuate the Shokalskiy’s passengers, is now also trapped. The Australian icebreaker Aurora Australis, which took on board the Shokalskiy’s passengers will now continue its interrupted resupply mission to the Australian Antarctic base at Casey Station before returning to Tasmania in mid-January with the rescued scientists, journalists and tourists. Heritage chartered this ship for voyages in the Antarctic and Russian Far East between 1993 and 2005. The US Coast Guard on Saturday said that its own icebreaker Polar Star is responding to a request from Australia, Russia and China to assist the two trapped ships. Polar Star cut short its planned visit to Sydney to assist the ships because they may not be able to free themselves. Under international conventions, ships’ crews take part in such rescues and owners carry the costs. The Polar Star left Seattle in December to take part in Operation Deep Freeze, to break a channel through the sea ice of McMurdo Sound to resupply and refuel the US Antarctic Program’s station on Ross Island. At last report, the Chinese icebreaker Snow Dragon remained stuck several miles from the Akademik Shokalskiy, which has been immobile since Christmas Eve. Although the Shokalskiy has an ice-strengthened hull, she is not an icebreaker. 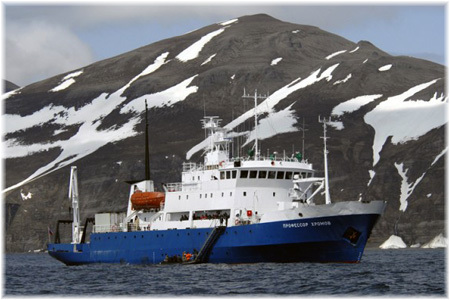 Heritage Expeditions, which since 2005 has operated sister ship Professor Khromov under the marketing name of Spirit of Enderby, is holding out hope that the Akademik Shokalskiy will be freed in time to take 48 passengers on her scheduled January 17 cruise to Antarctica’s Ross Sea. But Heritage will have to decide soon what other options they may be able to pursue. It is unlikely that there is a suitable ship within range to be able to replace the Shokalskiy if she cannot be freed on time. And unlike on the Antarctic Penuinsula, where several ships operate from Argentina’s base port of Ushuaia, and can on occasion assist one another with berth allocations, only two ships operate in this part of the Antarctic. The Saigon Pandaw, a river cruiser being towed on a repositioning voyage in Southeast Asia, sank on December 21, leading the cruise operator to rearrange its calendar. No passengers or crew were onboard at the time of the sinking. The 60-berth Saigon Pandaw sank in Malaysian waters while being towed from Vietnam to Myanmar. The hull took on water and the ship capsized in heavy seas, Pandaw River Cruises said in a statement. The company is still investigating the cause, but early reports indicate that strong winds were to blame. 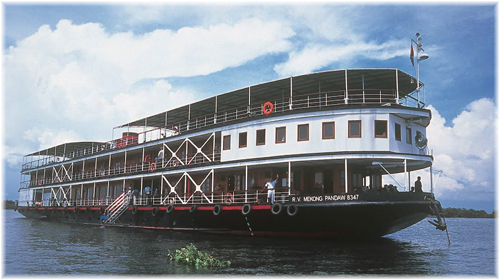 The Saigon Pandaw was launched in 2012 and sailed Mekong River cruises in Vietnam and Cambodia. At the time, she was being repositioned to Burma, where demand is greater. For the remainder of the season, Pandaw will deploy the 10-passenger Kalay Pandaw in Burma, a vessel that was launched in 2013. The line will also send two new 40-berth river cruise vessels to Burma in July, the Kindat Pandaw and the Kalaw Pandaw.